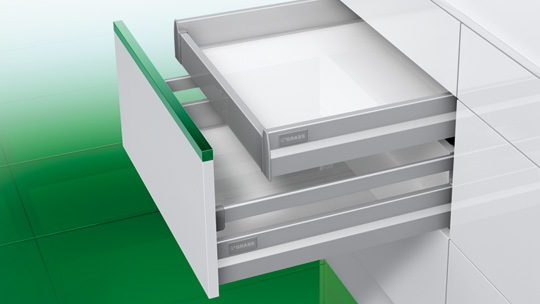 Drawer sides with numerous dividing and railing systems. 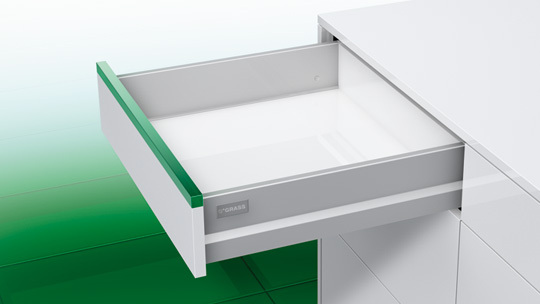 The advantages of the Nova Pro cabinet slide are not visible but they can be felt - during each movement. 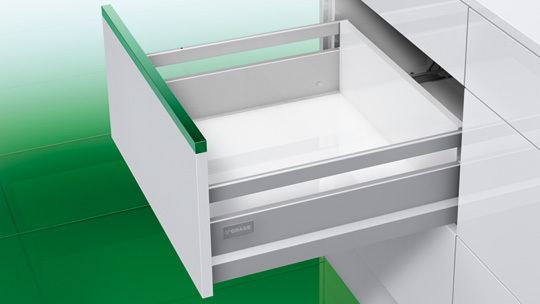 One notices the feeling of firm but free running, opening and closing drawers and doors without handles, using such innovative systems as Sensomatic or Tipmatic plus, which make Nova Pro so unique. Additional features are the timeless design of the Classic frame and its unsurpassed utilisation of space. All in all a superb system for superb furniture.